LNG 'risks lock-in of the sector into a high-carbon infrastructure', report says. A report published in Norway identifies biofuel as having the highest CO2 emissions reduction potential in comparison with a list of other measures, and warns that a "one-sided focus on LNG" could result in the sector ending up with a high-carbon infrastructure. The findings were published in a study entitled 'State-of-the-art technologies, measures, and potential for reducing GHG emissions from shipping - A review', which was put together by the Industrial Ecology Programme and Department of Energy and Process Engineering at the Norwegian University of Science and Technology (NTNU) and SINTEF Ocean. The document, which presents the results of a review of around 150 studies to provide an overview of CO2 emissions reduction potentials and measures, compares the CO2 emissions reduction potential of 22 measures, including biofuel, LNG, wind power, vessel size, cold ironing, speed optimization and hull coating. Biofuel comes out on top in the study - which includes a chart depicting "the highest CO2 emissions reduction potential for the use of biofuels". The report points out, however, that "the systemic effects of large-scale adoption of biofuel reach well beyond reduction in CO2 emissions during combustion" and that there are two main factors influencing the CO2 reduction potential of biofuel. The first factor is that the bio feedstock differs in type and quality and is processed in different ways. Hence, variations in CO2 reduction potential can occur due to changes in feedstock, processes and efficiencies. The second factor is related to the way reduction potential is calculated. "Traditionally, emissions from biological origin are assumed to be carbon-neutral as biofuel is of renewable origin and carbon is sequestered during growth of the biomass. However, the carbon-neutrality assumption depends strongly on the rotation periods of the source crop, location of the crops, and direct and indirect albedo changes due to harvesting, all of which have a climate effect," the report says. Furthermore, non-climatic concerns such as competition for scarce land resources make a comparison in terms of only CO2 emissions "overly simplified", the study stresses. The report warns that switching to LNG as a fuel can lead to "relatively high emissions". Consisting mostly of methane, CO2 emissions during LNG combustion are considerably lower than those of other fossil fuels. However, the document warns that leakage of methane - also known as 'methane slip' - from the engine, is a potent greenhouse gas (GHG) that could pose additional challenges. Furthermore, as a carbon-based fuel of fossil origin, combustion of LNG still results in continued CO2 emissions. "Considering that the residence time of CO2 in the atmosphere is thousands of years, and that there is a clear carbon budget associated with the goals set forward in the Paris agreement, a one-sided focus on LNG as a mitigation option risks lock-in of the sector into a high-carbon infrastructure not commensurate with required commitments in the long term," the report stresses. The researchers conclude, based on their findings, that no single measure is sufficient by itself to reach considerable sector-wide reductions. "Though there are single measures for which high reduction potentials are reported (e.g. the use of biofuels or speed optimization), the wide range of identified potentials suggests only moderate agreement across studies." The study calls for "more transparent research" and notes that the climate effects of a shift from heavy fuel oil (HFO) to LNG - including the interplay between reduced SO2 emissions, reduced CO2 emissions, and methane emissions - "are not well understood". 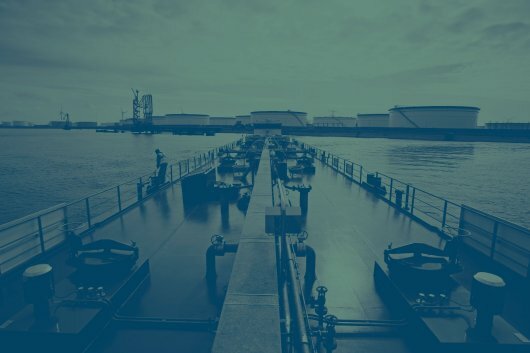 The report adds: "The uncertainty and variation in the mitigation options presented in the previous sections have to be reduced in order to aid the maritime community in making the best choices for sustainable development of maritime transport. Research has to address multiple aspects simultaneously in order to prevent double counting of efficiencies and measures. This allows for a closer look at both individual measures and their feasibility of application, as well as a combination of measures in hybrid solutions." The study also notes that, thus far, few studies focusing on GHG emissions cover more than carbon dioxide. The researchers acknowledge that for most key pollutants, it appears that reductions in emissions go hand in hand with reductions in CO2 emissions, for example through a combination of fuel switching and abatement equipment; however, they note that several authors report an increase in CO2 equivalent emissions as a function of stricter NOx and SOx regulations. The report concludes that it is possible to reduce emissions per freight transport unit by 75 percent and above up to 2050. At the same time, it also observes that achieving such a reduction is necessary to ensure absolute reductions in annual CO2 emissions of the sector, as the continued future growth of maritime transport offsets the gains made. CO2 reduction potentials based on studies with focus on emission reduction achievable at fleet level range from 33 to 77 percent against a 2050 scenario baseline, indicating what the study describes as "a high potential". In order to view the full report, please click here.